Canadian duo The Zolas are Zach Gray (vocals, guitar) and Tom Dobrzanski (piano). Previously part of Canadian band Lotus Child, the Vancouver band are about to release their sophomore album Ancient Mars at the beginning of December. Like a fair bit of stuff, this dropped into my inbox with about one million other submissions. I thought I’d give the video to the first single ‘Knot In My Heart’ a go. At first it was the quirky video that caught my attention, and then the realisation dawned just how awesome the tune was. Call it post-modern pop, indie-rock…whatever you will, the single ‘Knot In My Heart’ had won me over by the end of the first play, and made me want to listen to the entire album. The single is out a week before that, and apparently picking up a lot of support. Before you call ‘Hype!’ give it a listen. I was surprsed, you may be, too. I’ve long supported and, frankly, been pretty envious of the Song, By Toad label and Blog. 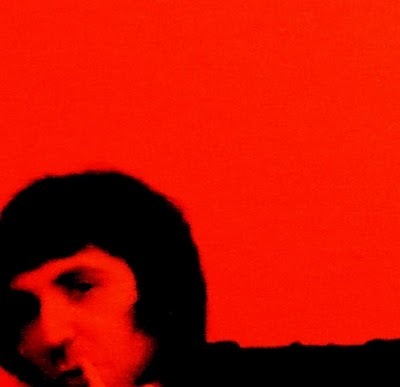 Mr. Toad works pretty hard on it, and he’s been responsible for birthing some awesome records, and for what it’s worth I have tried to cover as much of it as possible on here. Back in 2010, I very much enjoyed the debut from Yusuf Azak, Turn On The Long Wire. It featured some gorgeous low-key moments, and picked up some nice reviews. Now, two years later, his next record Go Native is almost with us. It’ll be released on November 12, and it’s seemingly (on the basis of what I have heard so far) an even more gorgeous and more accessible and stripped down record than his debut. In the words of Head Toad, Matthew Young ‘Yusuf tends to keep himself to himself, only to emerge with a finished album from time to time, so I doubt we’ll ever be able to make him all that famous, but this is a truly gorgeous record and I am delighted he wants to release it with us.’ Can’t say any more than that, really. I would have loved to post ‘Swim’ but ‘Smile Tactics’ is doing the rounds as a free download/single (is there much of a difference between them these days?) and it’s pretty lovely too. Back in 2010, I interviewed Viv Albertine about her then new EP, Flesh. She told me then that she had so many songs that she was desperate to record. Two and a half years later, her first solo album is with us. And it’s been more than worth the wait. Sure, Ms. Albertine was a member of The Slits and her influence on so many who have followed after cannot be underestimated. But let’s look to the present: this album is one of the strongest and most original I have heard this year (and that’s talking top five out of over three hundred). She has a refreshingly honest take on songwriting. It’s not simply The Slits part 2. A song title like the album’s opener ‘I Want More’ could simply be a greedy call for bling in the hands of so many; instead, here it is the sound of someone taking control and wanting more from life. It sounds like a manifesto – in a good way -not just for the album, but for the continuation of her musical journey, having effectively downed her guitar for the best part of a quarter of a century. These are great songs, but they’re nakedly personal. The vermilion border is a biological term for the border between the reddish skin of the lip and the more regular skin of the face -and to listen to this album is not a journey into the psyche, but the privilege of reading someone’s diary. It’s a privilege, but once you’re in…there’s no turning back. You’ve got that close. That’s not to say it’s an unpleasantly intense or embarassingly confessional record, because it’s not. And there’s a fabulous sense of humour within too, particularly on tracks like album closer ‘Still England‘ and ‘Hookup Girl.’ Oh, and the list of contributors (Jack Bruce, Tina Weymouth, Glen Matlock, Mick Jones, Dennis Bovell, and Danny Thompson, amongst many) adds to what is a warm and rich musical tapestry. Even if she never makes another album again, this album is a genuinely thrilling ride. 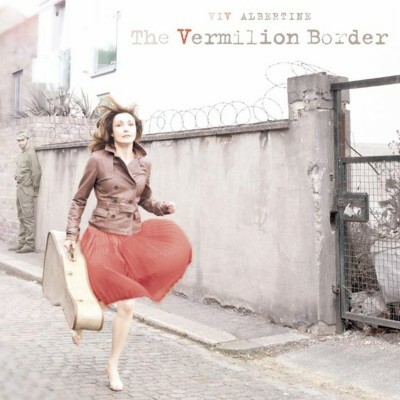 The Vermilion Border is released on Cadiz Music on November 5. And in a sense, that’s exactly what you get. Now, I don’t know enough about music to say how this music might differ if it came from, say, Saskatoon, Montreal or Vancouver. But this is beautiful, heartfelt stuff that grows and grows with successive plays. No, it doesn’t blow your speakers or dazzle you with wordplay, but it does produce something rather lovely. If it dips, about two thirds of the way in, well, that’s no more than plenty of albums do. But with tracks like ‘Take Me Out,’ ‘Angelina’ and ‘Child of The Valley’ you have a collection of songs that’s heartfelt and yet straightforward. Every Child A Daughter, Every Moon A Sun is out now on Loose Music. Like the pre-digital days, here is a band who understand that on an EP, the idea is that -in theory, at least -all four tracks should be of the same high standard. And they are all great, though for my money (well, I got sent a promo copy, but you get the idea) the two standout tracks are opener ‘Lemonade’ and penultimate ‘Next Of Kin’ the latter being one of the rockiest things they’ve done. Will they ever release an album? Who knows. These are four more fine tracks which add to their catalogue -so why not compile your own? 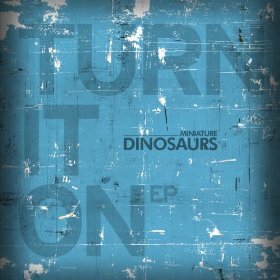 Turn It On EP is released on Integrity on October 22. (Over 14’s night Support from Brown Bear and the Bandits, and Alter-Natives. Although I haven’t featured Crystal Fighters before here, I am aware of their stuff. 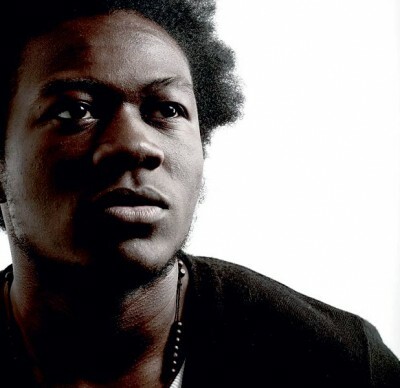 I have, however, featured Benga before, giving a five star review to his debut album Diary Of An Afro Warrior four years ago, which also was no.3 in my top 75 albums of the year in 2008. He was part of the dubstep movement, but is now, as far as I can see online, keen to distance himself from it. I reviewed Tokyo four-piece’s fine debut album, Caramel Sunset, back on these pages earlier this year. Although they have been described as owing a debt to Britpop, I personally think they owe far more to the c-86 movement. Either way, the band are now coming to England and Scotland in support of the album, and are giving away ‘=3’ away as a free download in support of the tour and album. Download and turn it up very loud (I would, if the wee man wasn’t fast asleep next door). Palma Violets- give them a chance! Being labelled the next big thing can be a complete curse. Sure, over the years, the likes of Suede, Oasis, Libertines and Arctic Monkeys have taken that ball and run with it. But then again, how quickly it was over (at this point in time, anyway) for the likes of Campag Velocet, the Young Offenders, Menswe@r, The Black Kids, Viva Brother …and bands I can’t even remember. 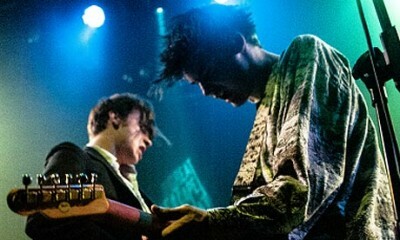 Palma Violets were on the front cover of NME last week, hailed as the next great guitar band. Now, aside from the gripe that I could make about ‘do we always have to be looking for four boys with guitars?’ (there’s plenty of great music that involves neither) there is a sense, aged thirty five, that ‘here we go again.’ Thing is, cynicism aside, their debut single ‘Best Of Friends’ is really rather great. I’d switched on 6Music this morning, and it came on, and it sounded great. Did it sound like the future of rock’n’roll? No -it just sounded like a great tune. What it highlights -not for the first time – is not only the ‘build them up to knock them down’ mentality of a lot of people (and I think that bloggers have their own responsibility for this, too, not just print media), but problems that impact on so many areas of art. Obsession with what the midweek chart position is, what the opening weekend at the cinemas did, how many journalists came along to the book launch…things take time to come to fruition. And how much of a quantum leap were sophomore albums by the likes of Blur, Radiohead or Foals? Sure, people can get carried away. I can’t tell what the Palma Violets debut album will sound like, and like pretty much any act, I really would like it not to be twelve photostats of a debut single. But let the hypers and the knives out brigade just take a deep breath and let the rest of us enjoy it for what it is. This evening, there were so many submissions in my inbox, it was wearying going through stuff. Yet the record I’ve been meaning to write about for the last ten days is the work of Islamabad, Pakistan’s Asfandyar Khan. 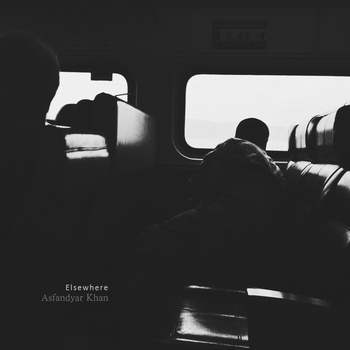 Citing his influences as Matthew Robert Cooper, Stars of the Lid, Tim Hecker and perhaps most of all, Brian Eno, he has just released his second album Elsewhere.This is guitar based ambient music, with hints of post-rock that is really beautiful and deserving of as wide an audience as possible. And to these ears, it’s not overstepping the mark to say that Elsewhere compares favourably to the likes of Music For Airports. Asfandyar’s album can be downloaded for free below. If you like what you hear, though, why not make a contribution? Once you’ve heard the opening two tracks, you will want to hear the whole thing. Glasgow Post-rockers VASA are Blaine Thompson (Guitar), Scott Coupar (Guitar), John Niblock (Bass) and Alex Gordon (Drums). They take their name from the failed Swedish warship that sank on its maiden voyage, in fact it didn’t even make it out of the harbour. (I’m going to assume this is all true, I’m wowed by the track but too tired tonight to spend hours googling and surfing the net to confirm Swedish Naval History). This is their debut single ‘Cynthia’ which is taken from their forthcoming EP Never Have Dreams, released on December 14. And yes, people will draw comparisons with Mogwai, because they’re post-rock and instrumental, but comparisons might also be drawn with tortose because it’s quite Math-rock too, but it never outstays its’ welcome.